Lane End Cottage01263 715779work01603 870304fax Self-cateringIn a quiet location in the delightful and characterful seaside village of Snettisham, this lovely holiday cottage offers one-level living with modern, contemporary decor and a small, sunny garden to the rear. Snettisham has a world renowned RSPB site and is also close to their sister site at Titchwell. The sandy beach is just a short stroll from the cottage and is a wonderful wide open space, particularly when the tide is out. This part of Norfolk can produce some of the most stunning sunsets on the coast and in the summer months the evening sky can be lit with stunning colours for hours! Lane End Cottage offers weekly bookings starting on Friday. Lane End Cottag offers weekly bookings starting on Friday. 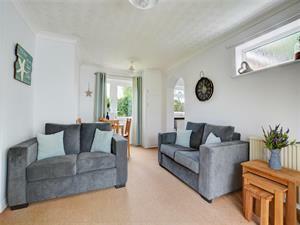 In a quiet location in the delightful and characterful seaside village of Snettisham, this lovely holiday cottage offers one-level living with modern, contemporary decor and a small, sunny garden to the rear. Snettisham has a world renowned RSPB site and is also close to their sister site at Titchwell. The sandy beach is just a short stroll from the cottage and is a wonderful wide open space, particularly when the tide is out. This part of Norfolk can produce some of the most stunning sunsets on the coast and in the summer months the evening sky can be lit with stunning colours for hours!